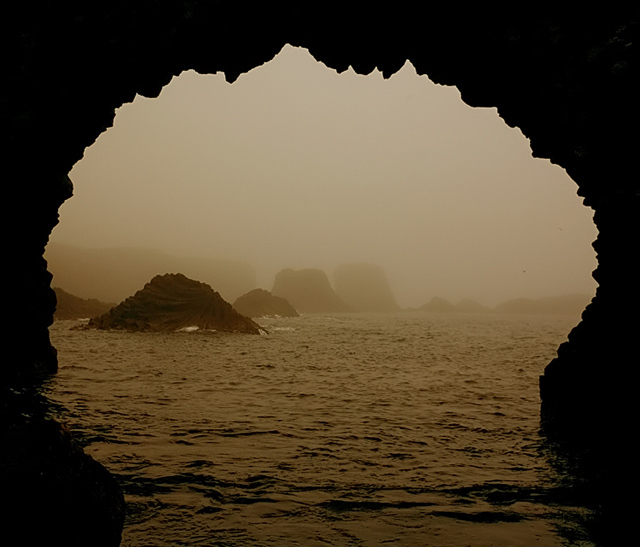 This is a hole in a cliff, taken at Arnarstapi, Iceland. wonderful image. I mean... Wonderful images all around your port. A natural frame like no other. A great picture. Thank you all for your kind comments and votes - much appreciated! Outstanding work Þorsteinn! Congrats on your red ribbon! Great shot! Setting the whole picture into frame shows much creativity, it was a very good idea, cgrt! Gongrats on your red, great shot! Þú ert bara að verða fastagestur á forsíðunni. Frábært, til hamingju! I want to visit this place! Simply wonderful. Congrats on your ribbon! An enchanting visual beauty. Congratulations on your Red. Ég held að þú verðir næsti "Íslendingurinn". Ef þú heldur svona áfram þá áttu eftir að rústa hverri einustu keppni. Wonderful capture my friend and a well deserved ribbon. Congratulations! Congrats on your Ribbon... Frábær árangur og glæsileg mynd. Fallegir litir og stórgóð hugmynd :o)Sooo nice picture Þorsteinn. Congratulations on your Ribbon with this wonderfully framed image! Excellent framing. Color tones mystical. Congrats on the red, Þorsteinn. Nicely framed and very moody. Love the title as well. Congrats! Once again, AWESOME! Congrats on the ribbon! Til hamingju með þetta, flott mynd! Congrats Þorsteinn, well deserved, I really like the mood in this one, nice work! Congrats on another Ribbon, Þorsteinn! You got a foreground subject framing a wonderfully moody scene. Excellent! Congrats! Great image and a job well done. Congratulations on an amazing shot. Honestly I would have voted this higher than my picture if I were voting on both. Lovely!! This is so stunning! I am so happy this won a ribbon! Congratulations!You're awesome! Very nice shot. Cool framing. Congrats on your Red. 7 - Even though the frame here is mostly(?) a silhouette, the scene and toning/effects complement it very well, however for this Challenge would like to have seen a little more detail/texture/etc in the sides/top of the frame - similar to as is in the water/bottom of the frame. Obviously lose a lot with the toning/pp but still likely make it even better in my opinion. Good image. A little to dark but very nice. This shot really brings the viewer into the scene. Nice tone and composition. I love the muted & moody feel of this photo - you might be getting voted down for the lack of contrast but I wouldn't listen to them! Interesting photo. I like the effect of the fog. Nice capture that fits the challenge very well. well done...love the depth of mood you captured. very cool shot. dark ambience. Wow, my only problem with this is the haloes from oversharpening. Excellent framing. The tone is fitting as well. Great work. Nicely framed and the colours are very alluring. Love the feel of this. And the shape of the arch - almost like the Alhambra. Proudly hosted by Sargasso Networks. Current Server Time: 04/24/2019 02:06:36 AM EDT.